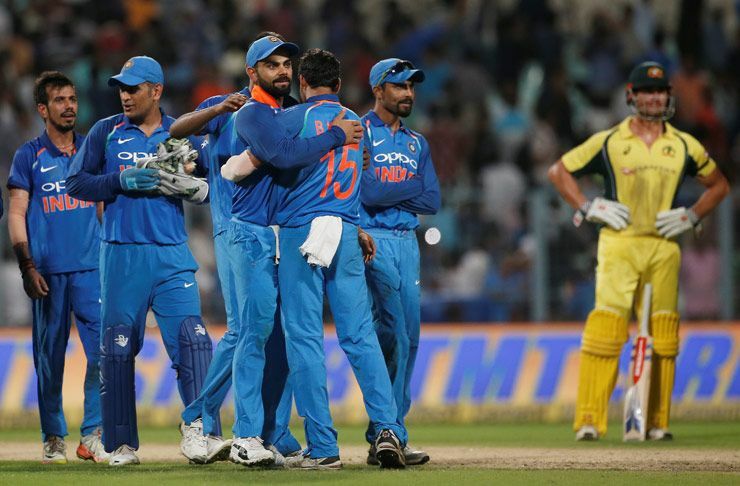 As Board of Control for Cricket in India (BCCI) announced the schedule for an Australia tour of India starting next month, I S Bindra PCA Stadium, Mohali, was selected as the venue for the fourth One Day International (ODI) of the five-match series. The ODI will be a day-night match starting at 130 pm on March 10. The stadium, which hosted its first ODI in 1993, will be hosting its 25th match on March 10. It will be the 15th time that the Indian team will be playing in an ODI at the stadium. With Punjab Cricket Association (PCA) building its new stadium in Mullanpur, which is set to host international matches from 2020, this will be one of the last few international matches to be played at the stadium. R P Singla, honorary secretary of Punjab Cricket Association, said it’s a mater of great pride that the I S Bindra PCA Stadium will host its 25th ODI match in its more than 25-year-long history. “As per the BCCI’s rotation policy, we were due for an international match and the fact that it will be the 25th ODI match at the stadium will make this occasion extra special. The construction of the new stadium in Mullanpur has also been going on and it will be ready to host international matches from 2020. Before that, we hope to get some more matches at this stadium. We will soon form an organising committee for the match to be played on March 10 after consultation with Punjab government and the local authorities and I am sure it will be memorable moment for the cricket fans in the region,” shared 65-year-old Singla. Apart from 24 ODI matches, the I S Bindra PCA Stadium has so far hosted 13 Test matches and four T20s. The 27,000-capacity stadium had hosted an international match last in December 2017 when India faced Sri Lanka in the second match of the ODI series. The Indian team has scored 10 wins out of 15 ODIs at the stadium, including the 141-run victory over Sri Lanka during their last match in 2017. With the Supreme Court order on issuing passes and not serving liquor at the stadium during the matches, PCA will have only 10 per cent quota of passes. “As per the honorable Supreme Court of India directions, only 10 per cent of total number of tickets will be complimentary passes, out of which the BCCI will also have its share. Rest of the tickets will be sold to general public. Also, no liquor will be served in any of the stands during the match as per the SC guidelines. Tickets will be sold through PCA counters and bank branches, apart from online,” said Singla, a former Ranji Trophy player. India has faced Australia four times in ODI’s at the stadium since 1995. While India won by five runs against Australia in 1996, the remaining three ODI matches between the two teams have seen the guests defeating hosts with their last win coming in form of a four-wicket haul in 2013. The stadium currently has seven pitches and 2-3 pitches will be prepared for the match.